Avalon, Stone Harbor and Sea Isle City are great places to visit, but an even better place to live. 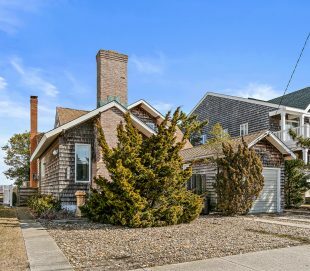 When you view our list of homes for sale in Avalon, NJ, you’ll quickly see that you and your family will never be more than a few steps away from the shore in these cozy beach towns. Enjoy both the excitement that the summer season brings with visitors and tourists and the calm tranquility and community of the off-season by becoming a true local. Living in Avalon, Stone Harbor, Sea Isle City and the surrounding area, you can take advantage of the benefits of a small beach town but still have all the amenities of a city within arm’s reach. For the more adventurous type, Atlantic City is only a half hour drive away. 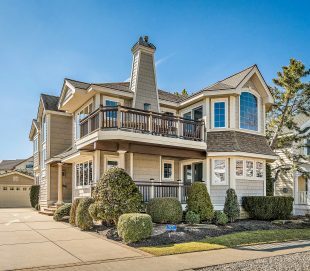 Avalon, Sea Isle City, and Stone Harbor, NJ real estate have something for everyone, no matter your preferences on amenities, location, and price. 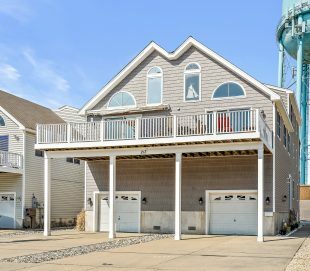 Whether you’re looking for that perfect Stone Harbor rental or searching Avalon, NJ for sale properties, you’ll find what you need in a budget that fits. New Jersey boasts more wildlife per area than any other state (based on similar size). Cape May County, in particular, is a bird watching mecca with hundreds of varieties to be seen during fall and spring migration. You will never want for something to do while living on the island with boutiques, restaurants, breweries, theaters and stunning beaches around every corner. By purchasing a property, you can make all the amenities the area offers part of your everyday life. Lucky for you, RJ Soens Group can show you the many different types of townhouses, condos, and homes for sale in NJ. Why Avalon, Stone Harbor and Sea Isle City? Purchasing a property offers many advantages for single men and women, couples, and families of every size. Experience the freedom and privacy of building a life in Avalon, Stone Harbor or Sea Isle City as a property owner. Accessible just minutes away are five mainland golf clubs with formal and causal restaurants for relaxing. Visit any one of our friendly taverns and breweries, or attend any one of the local live music festivals. Sports camps and bird watching locations are perfect as family-friendly activities, or head over to the zoo and historical museum over at the Cape May Court House. We can’t forget the fishing and water sports activities – you will be living close to the ocean, after all! New and seasoned residents alike frequently head to the water with their boats to enjoy fishing for over 40 varieties of fish. Your new, friendly neighbors participate in the local yacht clubs with lessons for both children and adults. 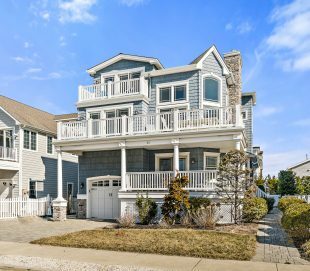 With these options and more, it’s no wonder that Avalon, Stone Harbor and Sea Isle City properties are so popular on the market. Perhaps you already own one property and have considered purchasing a second. A vacation property provides a getaway spot for your whole family, one that could become a tradition year after year. Your family will look forward to their trips to their beach house while making new memories. Owning a home in this area also offers a great investment opportunity. 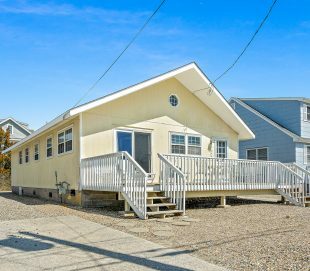 The tourism level at the Jersey Shore is high, especially in the summer, and purchasing rental properties is an excellent way to supplement your income. Best of all, any property-related expenses you incur are tax deductible.RJ Soens Group at Long & Foster is a New Jersey based real estate company that wants to offer you the best options available. Read on to find out more about our houses, condos, and townhouses for sale! 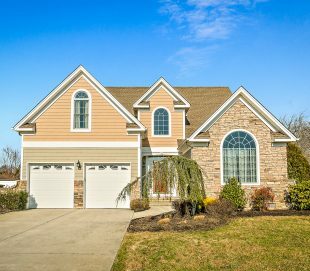 Houses: For those seeking the more traditional route, RJ Soens Group can show you a variety of Avalon houses for sale and single family houses in New Jersey. A house is a valuable asset that comes with tax benefits and gives you the freedom to make your own modifications. 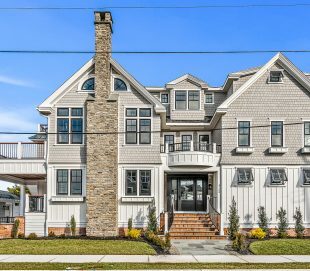 Many of our sought-after houses for sale in NJ offer enormous development potential with breathtaking views, and as one of the leading Avalon, NJ realtors, no one is better than RJ Soens Group to connect you with your perfect property. 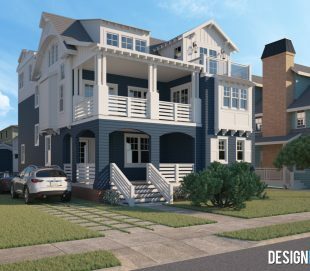 Townhouses: These types of properties represent a growing share in the Avalon, Stone Harbor and Sea Isle City market. Townhouses are an especially attractive option for new homeowners. 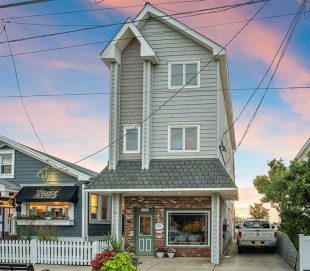 Typically larger than condos, townhouses for sale in NJ can give you a balance between affordability and space. 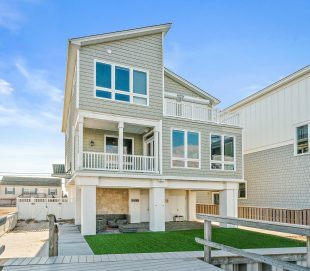 There are one and two-story options along the Jersey Shore with options close to the water. Condos: Condos have many amenities that some houses simply don’t offer. For example, condos for sale in NJ feature pools, fitness centers, and community clubhouses that can make you feel like a true resident. Condos are a great low-maintenance option for couples or smaller families. Owning a condo is also a low-cost alternative to a home or even a townhouse, depending on the area. 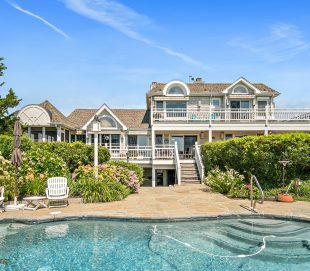 Types of Properties in Avalon, Stone Harbor and Sea Isle City Inside Properties: No place is too far from the beach or bay! 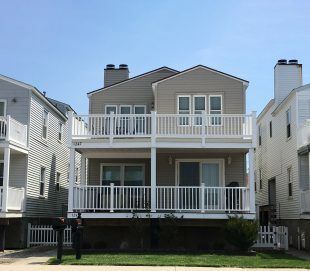 Houses for sale in Stone Harbor, NJ, Avalon, and Sea Isle City are well within walking distance to the beach, even if they’re not right on the beach. Beachblock: Properties for sale just a few paces from the beach. Beachblock locations offer gorgeous, close-up views of the ocean from the decks. It’s all about the coastline here, so you can listen to the calming ocean sounds from your new deck. Bayfront: As close as you can stay to the water without being in it. This type of property has direct access to the Intracoastal waterway, a canal, or a harbor. With this option you have access to either a dock or boat slip, so you can fish and do some sight-seeing before pulling up right to your property. 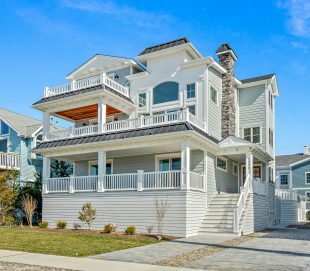 Beachfront Properties: Avalon, Stone Harbor, and Sea Isle City realty are all known for their luxurious beachfront homes that are as close as you can get to the water without sleeping on the beach. These popular properties for sale are modern, luxurious, and filled with your favorite amenities. 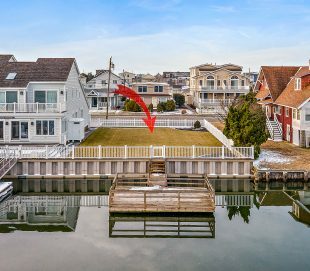 You simply can’t get any closer to the water with this prime location. Contact RJ Soens Group RJ Soens Group has worked in New Jersey Real Estate for over 30 years. Our team consists of passionate and devoted real estate professionals. We have the desire and know-how to help find you the perfect property to meet your needs. You would be hard-pressed to find a more experienced team. Combined, we have many years’ worth of experience in the real estate business. 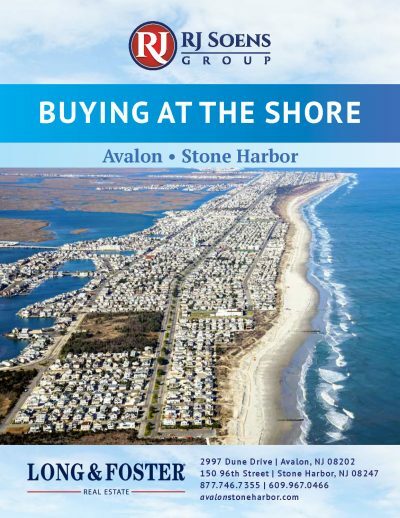 Because members of our team grew up in the Avalon, Stone Harbor and Sea Isle City area, and we want to pass the love we have for these islands and help others find the perfect island townhouses, condos, and houses for sale in NJ. Use our site to search through all the properties we have available currently, or feel free to drop us a line at 877.746.7355 if you have any questions or you’re ready to get started. 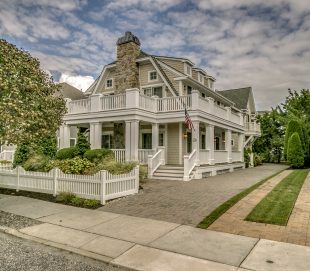 Home for Sale in Avalon, NJ and more! We have hundreds of shore properties available on Seven Mile Island. Search through the currently available homes for sale to get started now. Hear first hand what our clients have to say about their experiences working with RJ and his team.